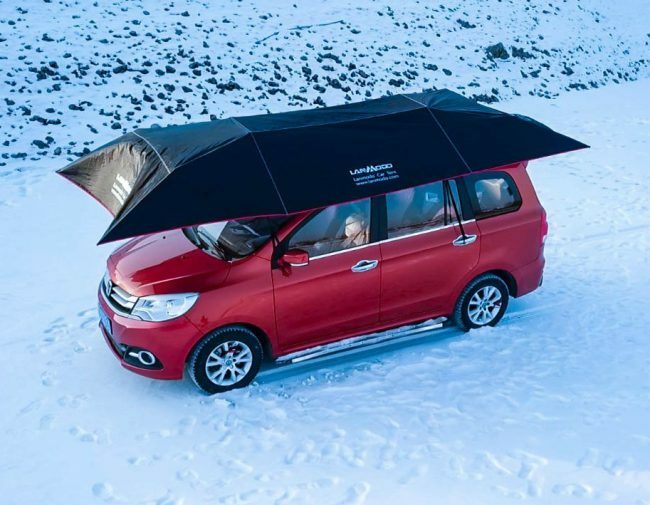 Lanmodo Pro Four Season Automatic car tent is an impressive innovation that protects your car from heat, wind, snow and rain. All it takes is a click of a button and within 30s, tent will be ready. 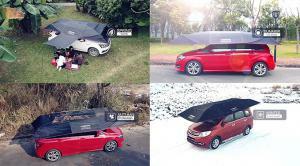 Moreover it is big enough (480×235 cms) to cover various vehicles. It comes in 3 colors so that you have the privilege to pick the color that suits your car. 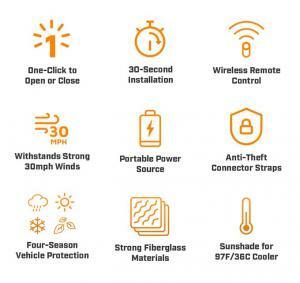 One Click To Set Up Lanmodo Pro: Only in 30s, you can set up Lanmodo Pro on your car roof to protect your car from all elements. Large Enough to Fully Cover Most Vehicles: With big coverage be 188.97X90.5 inch( 4.8M * 2.3M ) , Lanmodo Pro can fully cover the main body of most cars, sedans, SUV, trucks, Pickup, 4 wheel motorcycles and etc.. Extreme Fold-able Car Parking Shade: Lanmodo Pro can protect your car from hot heat and keep your car temperature lower up to 97°F / 36°C. Military fiberglass Prevent From Damage: Sturdy architectures and fiberglass materials keep your cars safe from daily damages. No worry about snow, hail and falling objects. Full Protection & Easy to Clean: Lanmodo Pro car tent canopy made of 3-layer PU silver coated Oxford cloths to be ultimate waterproof and durable. It keeps your car away from acid rain, bird droppings, dust or leaves. Three Windproof Designs To Withstand 30mph Winds. Double Anti-theft Designs Keeps Everything Safe.